On the day Dylan Thomas’s three-parts sister Homecoming Queen landed the G1 1,000 Guineas, the exciting young sire had a first crop black-type success via Tannery (3f Dylan Thomas-Danse Grecque, by Sadler’s Wells). The David Wachman-trained filly took the Listed Irish Stallion Farms EBF Victor McCalmont Memorial Stakes at Gowran Park on Sunday by a length and half from Soon (3f Galileo-Classic Park, by Robellino) with dual Group 3 winner Chrysanthemum (3f Danehill Dancer-Well Spoken by Sadler’s Wells) finishing third to give a 1-2-3 for Coolmore sires. The progressive Tannery has won a Dundalk handicap on her previous start and Wachman is hoping that there is better to come from the Dylan Thomas filly. 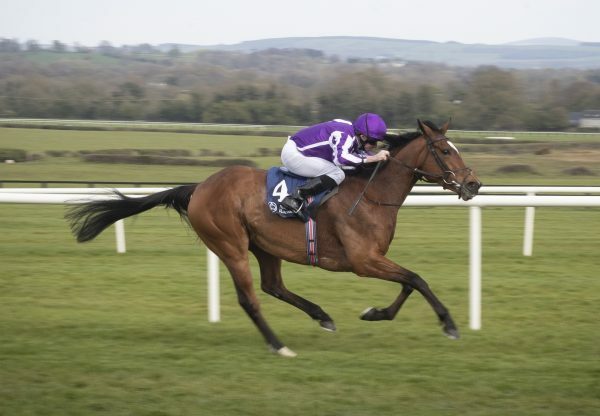 "She always showed a bit at home," Wachman told www.irishracing.com. "She’s a big girl and is starting to strengthen up now. There are loads of fillies’ stakes races for her now and she could stay up to a mile and a half. Hopefully she will keep improving and we will have a bit of fun with her." Tannery was scoring days after the Mikel Delzangles-trained Pretty Please (3f Dylan Thomas-Plante Rare, by Giant’s Causeway) made an impressive debut in a Chantilly conditions’ contest, the Aidan O’Brien-trained Athens (3c Dylan Thomas-Rafina, by Mr Prospector) won a similar race at Navan and the Wildenstein family’s Best Of All (3f Dylan Thomas-Bright Sky, by Wolfhound) was successful at Longchamp. 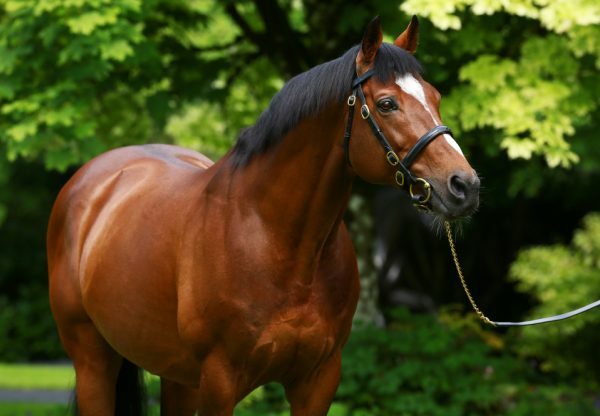 Also recently, the Andrew Balding-trained Goldoni (3g Dylan Thomas-Lasso, by Indian Ridge) ran out an impressive winner of the Investec Derby Trial at Epsom.